For sixty years Jewish refugees and their descendants have prospered in the Federal District of Sitka, a “temporary” safe haven created in the wake of the Holocaust and the shocking 1948 collapse of the fledgling state of Israel. The Jews of the Sitka District have created their own little world in the Alaskan panhandle, a vibrant and complex frontier city that moves to the music of Yiddish. But now the District is set to revert to Alaskan control, and their dream is coming to an end. 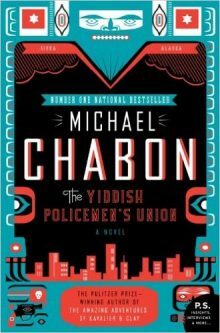 At once a gripping whodunit, a love story, and an exploration of the mysteries of exile and redemption, The Yiddish Policemen’s Union is a novel only Michael Chabon could have written.